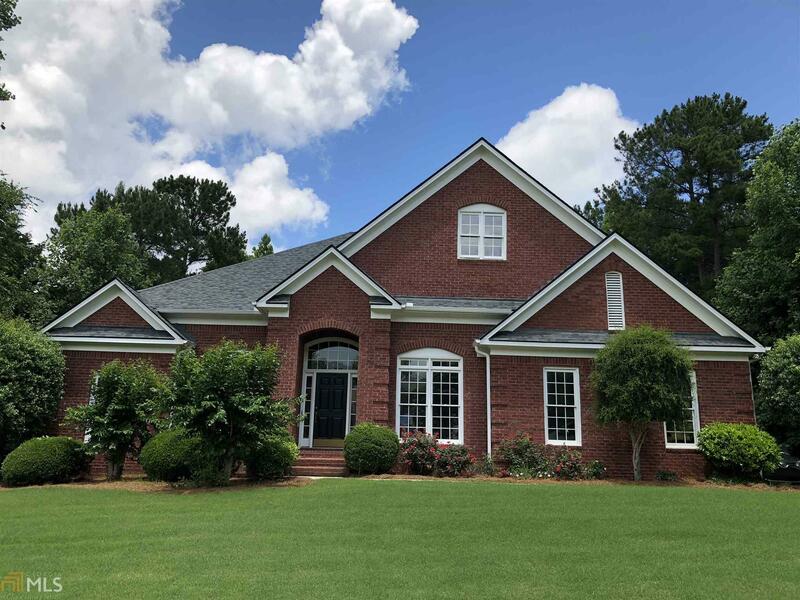 This approximately 5400 square foot home in sought after school zone (Braelinn, Rising Starr, Starr&apos;s Mill HS) features spacious rooms w/ gorgeous large arches. Master suite boasts His & Her bathrooms connected by large walk-in closet along w/ a sitting room opening unto back deck. Split-bedroom floor plan w/ 2 additional bedrooms & full bath on main & 2 additional bedrooms & full bath on 2nd floor. Kitchen has solid surface counters w/ breakfast area & walk-in pantry. Enormous basement (approx. 1900 sq.ft. finished; approx. 1000 sq.ft. unfinished) has in-law suite w/ a full bedroom, full bath, game room, living area, kitchen & many extra touches including two speaker systems. Rare separate golf cart garage. Swim, tennis community with lake access.